Music is the sound the soothes the savage beast. It’s also the sound that students hear throughout their school career. Students can receive instruction on classical or baroque music, chord structure, and harmony. Educators who aspire to be music teachers in Texas must take, and pass, the TExES Music EC-12 (177) exam, which is required by the Texas Education Association. It’s a test that ensures educators have the knowledge to teach students about a wide range of musical genres. It’s a challenging test but one that Texas teachers need to pass. 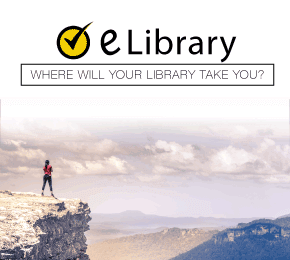 This guide walks you through the test details you need to know and offers an excellent preparation guide to help you though the preparation process. How many questions are on the TExES Music EC-12 (177) exam? There are 100 selected response questions on this computer-administered exam. What’s the total test time? Candidates will spend about 5 hours in the testing room. That includes a short tutorial and 4 hours and 45 minutes to complete the test. What categories are on the TExES Music EC-12 (177) test? Listening contains 25 percent of the exam questions. Candidates will be asked to listen to a piece of music and describe certain characteristics. This section asks candidates to recognize and describe a musical work’s melody, harmony and texture; it tests the ability to understand chord structure; recognizes performance issues, and more. Music Theory and Composition, with 17 percent of the test questions, tests knowledge of clefs, keys and meters; standard music terms; vocal and instrumental composition; improvisation; musical composition evaluation and critiques, and more. Music History and Culture also has 17 percent of the test questions, with areas that include the ability to recognize and describe major musical periods, like the Middle Ages, Renaissance and Baroque; musical heritage in the United States and Texas; and understanding the relationship between music and society and culture and technology. Music Classroom Performance has 25 percent of all questions. Candidates can be expected to demonstrate knowledge in singing methods and techniques; vocal literature that can help improve technical skills; performance conducting, both vocal and instrumental; and playing musical instruments with the proper methods and techniques. Music Education has 17 percent of the exam’s questions, and tests knowledge of music-related career options; music instruction’s effective planning and implementation; strategies to help students develop music skills; the development of a diverse musical repertoire into instruction; organizing a music class in different settings, like a concert hall, rehearsal room or marching field. The minimum to pass the TExES Music EC-12 (177) exam is 240. Candidates can access their scores via their testing account. The exam is available year-round, except for certain holidays. Where are the test centers located? There are test centers all over Texas and the United States. The Texas Education Agency has contracted with a private company to deliver the exam. What identification do I need to bring on the day I take the TExES Music EC-12 (177)? All test candidates must bring a primary and supplemental form of identification. Primary identification should be a government-issued ID that contains a photo and signature. A driver’s license is an example of an acceptable form of ID. A supplemental form of identification must contain either your name and a photograph, or name and signature. Should I get to the test center early? Yes, because if you arrive more than 15 minutes late, you won’t be able to take the exam. Am I allowed to bring personal items into the test room? Candidates can’t bring any type of electronic device and certain items of clothing into the exam room. The scores will be available approximately two to five days after you take the test. I need study tools to help me prepare for the test. What are the best ones I can get? 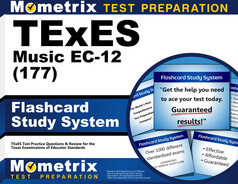 Mometrix has two sets of tools that can help you prepare for the TExES Music EC-12 (177) exam. Our study guide offers an easy, step-by-step preparation manual written by our test experts. 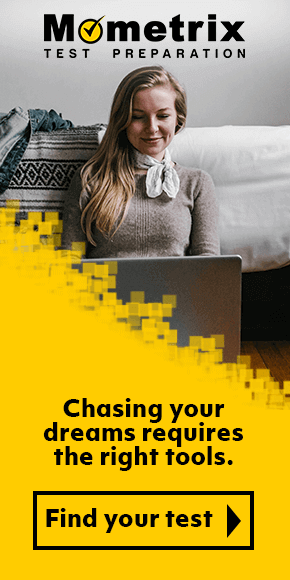 The guide helps candidates navigate the biggest exam challenges, like picking the right answer to a question. Our flashcards make studying simple because you can take the cards with you and study on the go. These are two outstanding resources. Mometrix Academy is a completely free resource provided by Mometrix Test Preparation. If you find benefit from our efforts here, check out our premium quality TExES Music EC–12 study guide to take your studying to the next level. 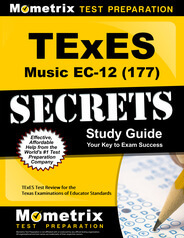 Just click the TExES Music EC–12 study guide link below. Your purchase also helps us make even more great, free content for test-takers.